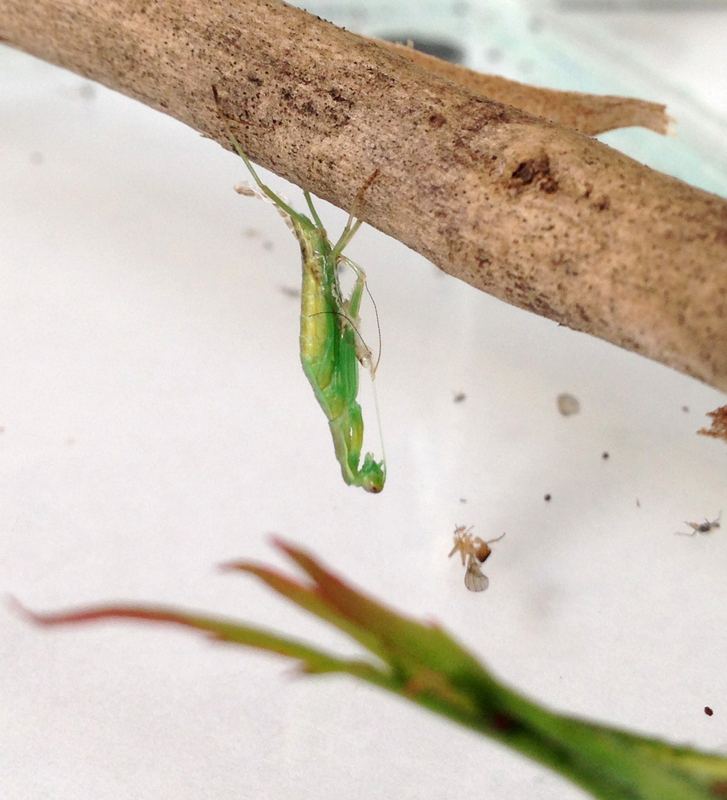 This is Diplora, our pet praying mantis. 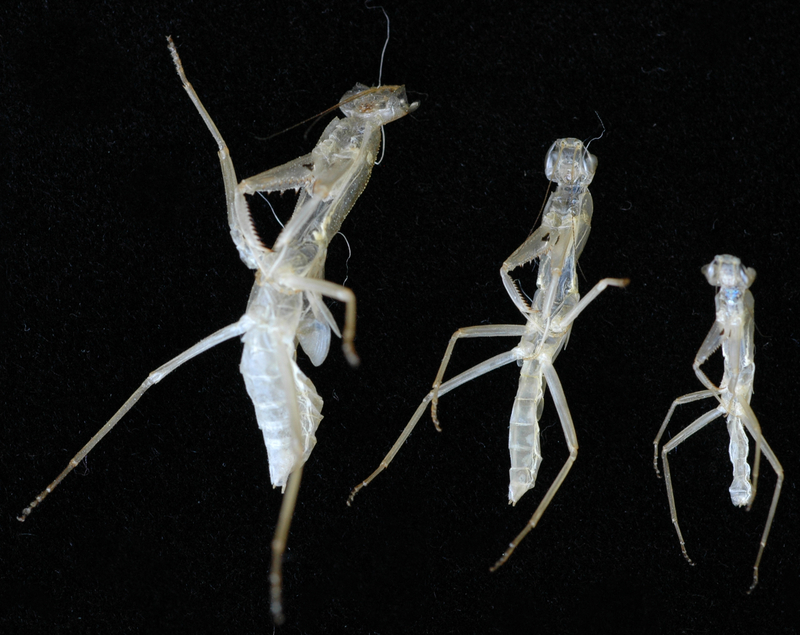 We have kept praying mantis’ before. 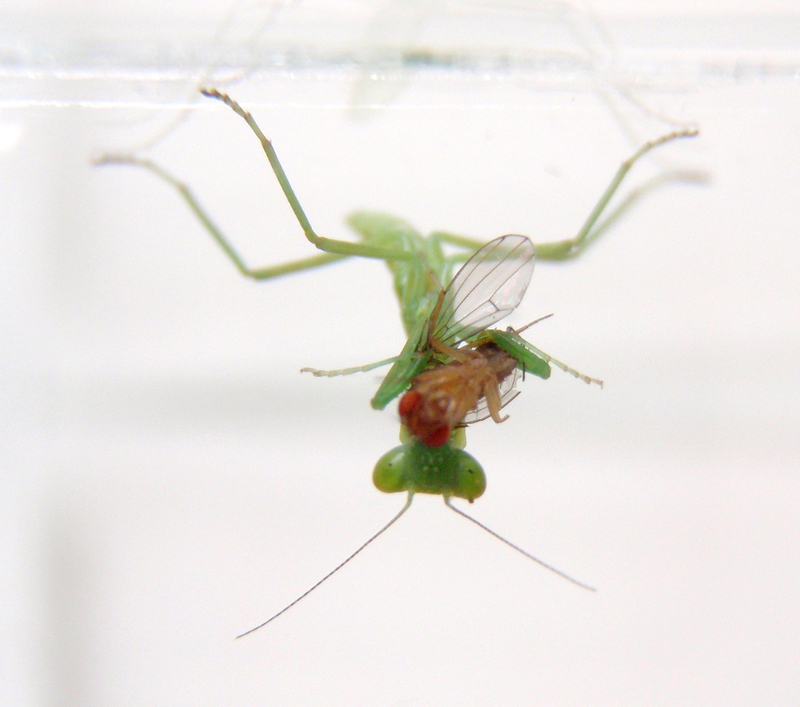 Diplora joined the team when she was still very small – to start with we fed her Drosophila (fruit flies) from our compost bin. 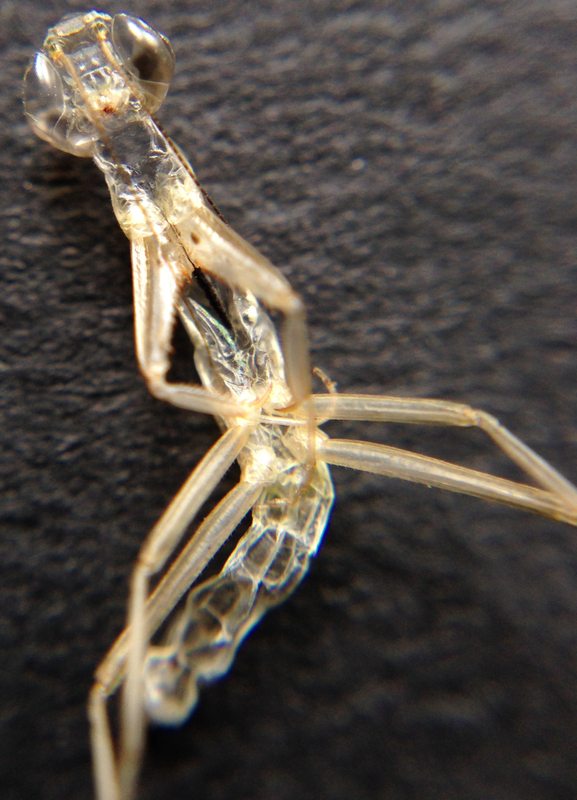 Like other insects, praying mantis’s get their shape from a stiff exoskeleton, so to get larger they shed this outer layer from time to time. Diplora has done this 3 times since we got her and we suspect she only has one more moult to go before she (or he) becomes fully adult. 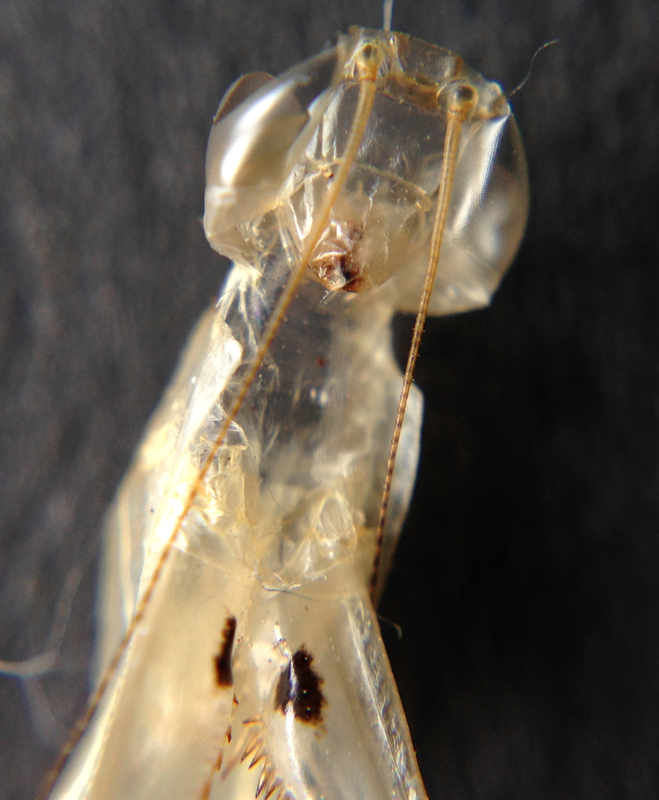 One of the interesting things about this process (ecdysis) is that the exoskeleton retains a lot of the fine detail of the mantid, but with the advantage that we are able to examine it in detail – because unlike Diplora, the exoskeleton stays still while you have a good look at it. We have enjoyed looking at details such as the compound eyes, the spikes on the forelegs, mouthparts (mandibles) and their fine antennae. 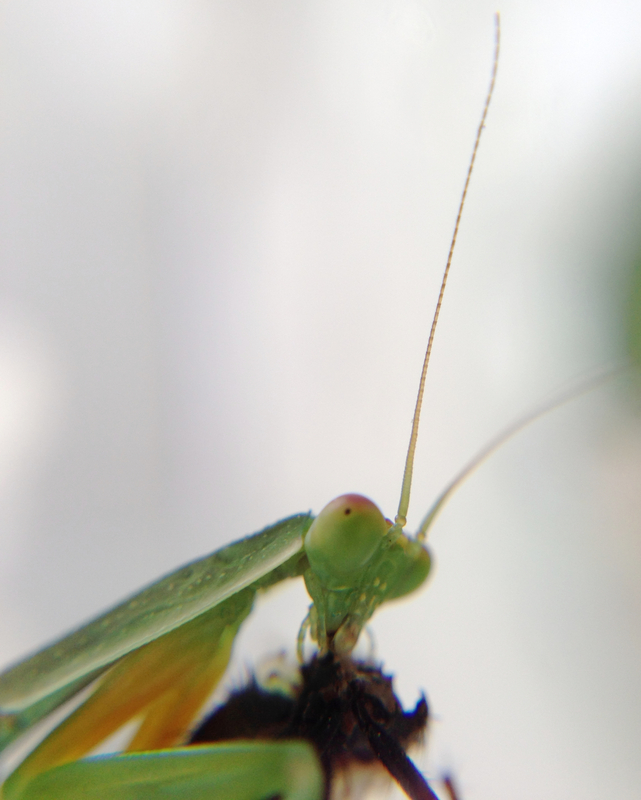 We have not yet fully captured the process on video, but here is some footage from someone who has (for a different species of mantid). 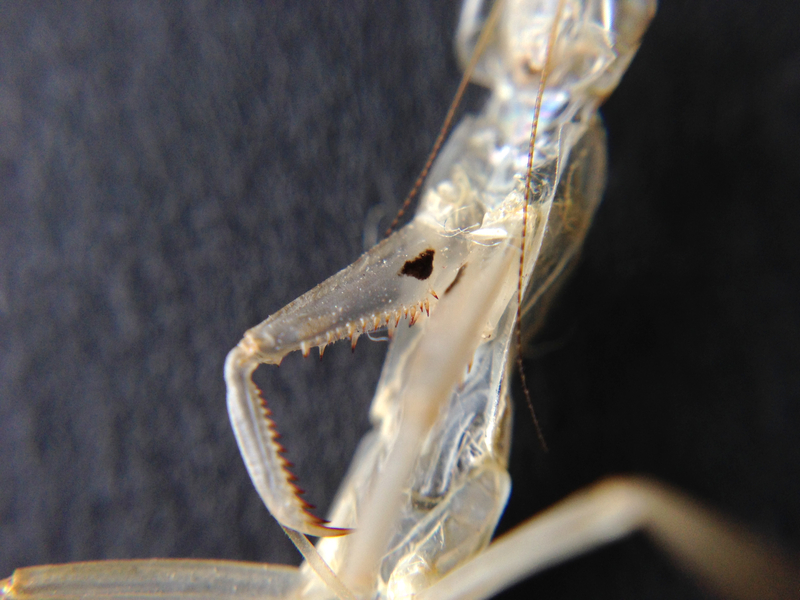 One thing that puzzled us with our mantids was the appearance of black dot in each eye – which isn’t always there, depending on the light. You can see it in the photos above, especially the one at the top. This is known as a “pseudopupil” and is essentially an artefact of the viewer. 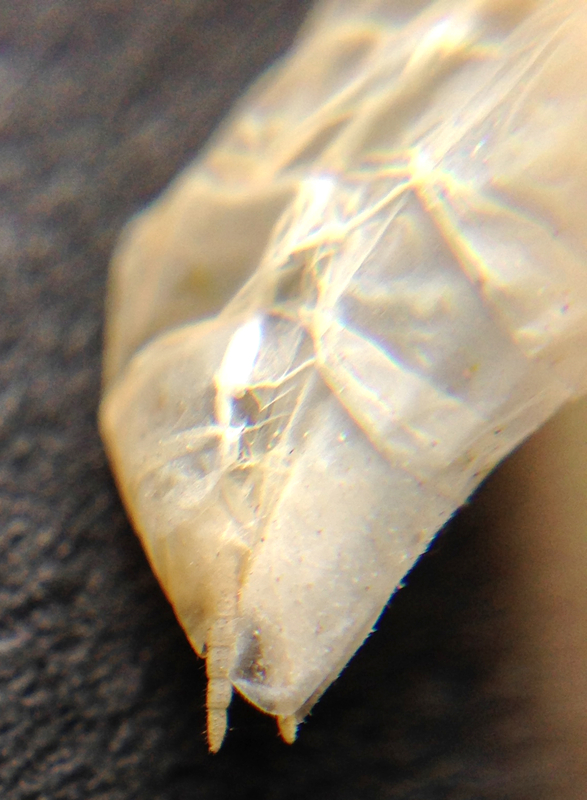 The compound eyes are made of many cones, with lenses over each. The lenses reflect some light, but in one position, relative to the viewer, no light is reflected, and so a dark spot appears. This site has a series of photos of all kinds of insects showing this effect.